"Energy", "Japan earthquake", "Japan tsunami", "clean energy", "global energy demands", "nuclear power", "renewable energy"
Earlier, Jon Rynn on this blog wrote that the lessons from Japan's recent devastating earthquake and tsunami teach us that nuclear power cannot even be part of the solution of a clean(er) energy future. Allow me to make a different case here. The primary claim of opponents of nuclear energy is that we should shoot for a fully renewable energy future, where our power demands are met by solar, wind and hydro energy, and leave nuclear power behind given its risks if and when an accident occurs. Even though nuclear power has the lowest share in total energy generation, taking it away would not result in renewables filling in the gap. It would result in dirty fuels filling in the gap. A close look at the above will tell you that geothermal and hydro power cost less than most coal, natural gas or nuclear energy. So why not those? Abundance. Location is a key issue in geothermal power; it's available only in a few select areas across the world. Hydro power has some of the same restrictions. Only places with great enough water pressure and flow can generate electricity. That really only leaves nuclear energy as the only alternative with technology already developed enough to compete with coal and natural gas on a cost basis. 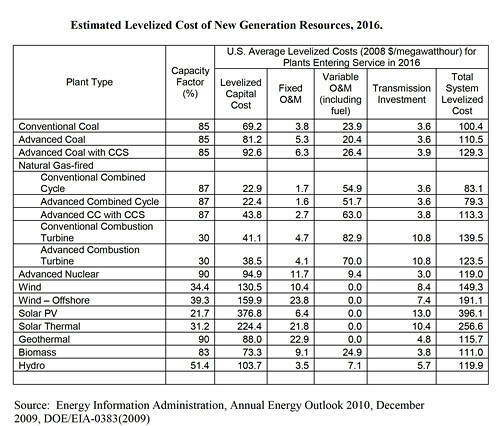 Renewable sources can and should become more cost effective, and hopefully surpass both nuclear energy and any fossil fuel generated energy eventually. But for that, research and investment is required, as is time. Global climate change is not standing and waiting. The clock on that is ticking. As a final note on efficiency and effectiveness, I do want to mention that while most of today's nuclear power is generated using uranium, thorium based nuclear power may prove to produce nearly no waste, and a much more efficient producer of electricity in the near future. It would be a real injustice to let this issue come to a close without a discussion about nuclear power and safety. Nuclear power generation involves highly radioactive material, and an explosion or large scale leakage can damage the surrounding areas for a long, long time. We learned that in Chernobyl. But nuclear safety has improved in massive ways since that incident. Let's look at the Japanese plants today. The situation is concerning, but let's put it in perspective. Japan just faced the 4th largest earthquake on record and the ensuing tsunami, and while what we have seen is dire, including high radiation levels close to the plants (including the US recommending a 50 mile radius for evacuation), we have not seen any of the plants lose their last defense, i.e. the containment walls. This New York Times map will help you understand the effects of the radiation levels outside the most affected plant. What we have seen is very difficult. But what we have not seen are large scale nuclear explosions which would render the area uninhabitable for the long term. That alone is evidence that nuclear power plant security has improved tremendously. US nuclear regulators, including Sec. Steven Chu (a nuclear physicist himself and a Nobel laureate) has said that the crisis in Japan should not delay pending construction licenses in the US. For some reason, I don't think he's totally ignoring the safety issue. What should be clear to anyone looking at the data is that no one source of alternative energy is likely to succeed in fulfilling demands that are exploding in that way. Every solution we leave behind - nuclear included - has that void fulfilled by energy sources that produce an inordinate amount of greenhouse gases, i.e. 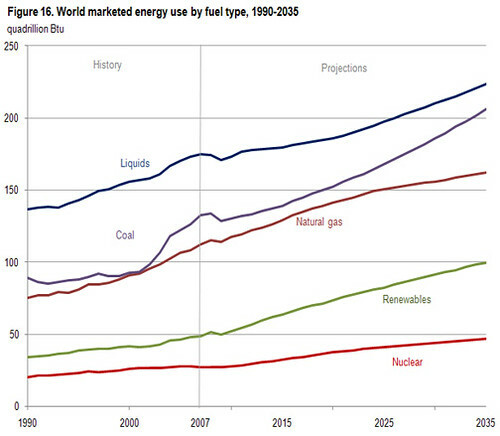 coal, natural gas and gasoline. The view that nuclear energy remains as unsafe today as it were even a decade ago is simply incorrect. On a normal basis, a coal plan emits 100 times more radiation than a nuclear power plant (nuclear plant's dangers don't come into play unless there is a leakage or explosion). 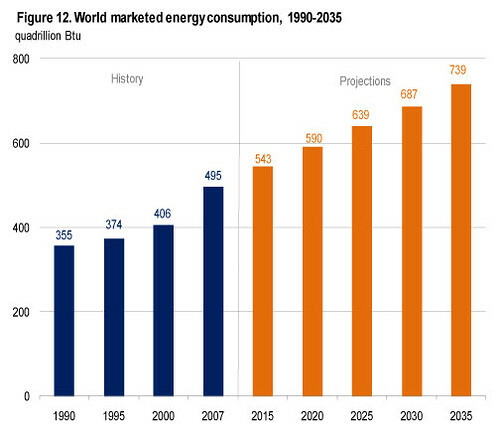 In addition, nuclear power presents the only viable price competition to coal and natural gas at this point in time. The fact is in today's world, we all live with a level of risk. What the events in Japan prove is not that nuclear energy is unsustainable. On the contrary, given the backdrop of the 4th largest earthquake in record, Japan is proving that nuclear power can in fact be produced in a safer manner. Until we are at a point where renewable sources of energy can meet all or nearly all of our energy demands, nuclear power will remain in the mix of the solutions to the world's energy needs. And given the choice of massive expansion of coal power and natural gas vs. a few new nuclear power plants built to the state of the art safety standards, I'd choose the latter.